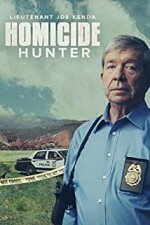 Watch Homicide Hunter: Lt. Joe Kenda: Joe Kenda was an extremely successful Homicide Detective for the Colorado Springs, CO Police Dept. He explores his old cases through reenactment and gives insights into his thought process along the way. This is a show that shows the logic process that a good detective uses from the beginning of a case through to the end. Episode 14 - Who Took Heather?